Heather Kowalski is JCVI’s chief operating officer. She was most recently chief administrative officer at Human Longevity, Inc. (HLI). In this role she oversaw marketing, public relations, human resources, IT, facilities, and security. Prior to this role she was head of public relations and marketing at HLI from the inception of the company in 2014. She was also instrumental in the formation of HLI. Before joining HLI, Heather was a public relations consultant working for a variety of not-for-profit, academic organizations, and several start up biotechnology companies all focused in the life sciences arena, which is Heather’s area of expertise. Prior to consulting she was Chief of Staff and VP of Communications for the J. Craig Venter Institute from 2003 until 2006. She began to hone her genomics communications experience at Celera Genomics where she was Director of Communications during the company’s historic sequencing of the human genome. 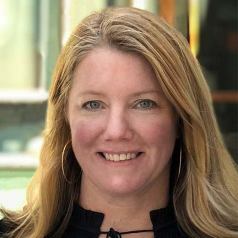 Heather also held leadership positions at two public relations agencies, Edelman in Washington, DC and Feinstein Kean in Cambridge, MA, where she and her teams led strategic PR and marketing programs for a diverse portfolio of healthcare, life sciences and global corporate clients including Novartis, Personalized Medicine Coalition, AdvaMed, and Walmart. She began her career in the 1990’s in pharmaceutical sales working for the Upjohn Company and transitioned to public relations within a large academic medical center in her home state of Pennsylvania. She has a BA in Political Science from Muhlenberg College.